What a beast! Who would’ve ever thought that a 2.3 ton SUV could be transformed into a high-performance machine? At the same time you have to wonder why any hard-core enthusiast would ever be attracted to a big, four-door SUV? Leave it to the engineers at BMW’s M division to bend the rules of physics trying to answer both these questions. 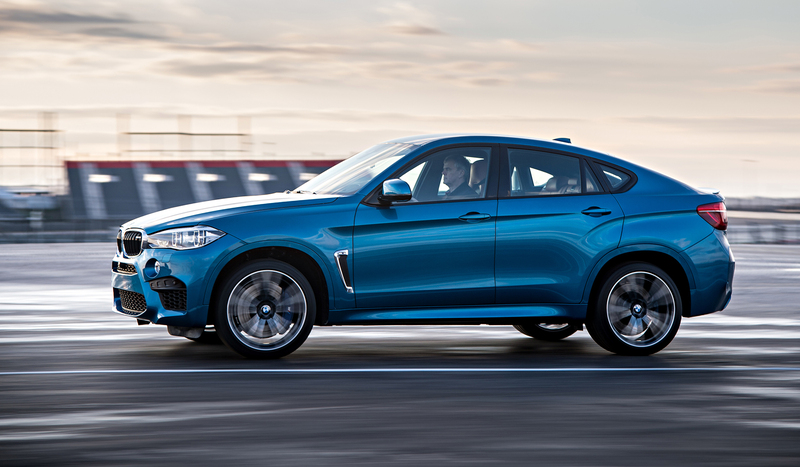 It starts with a regular production X6, a kissing cousin to the X5, distinguished mainly by its fastback roof line. 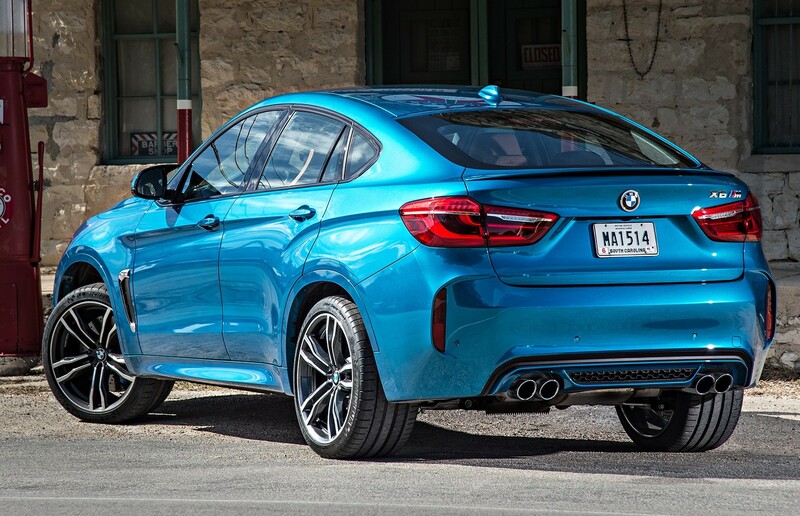 That leads BMW to call this a Sports Activity Vehicle coupe, even though everyone else in the world will classify this as an SUV. Then the M engineers work their magic. 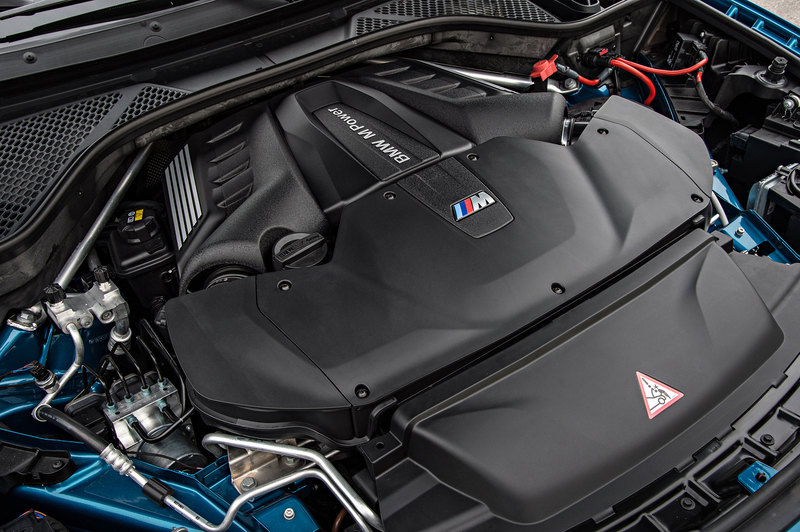 They drop in a 4.4 L twin turbo V8 that cranks out 575 hp and 550 pound feet of torque. They push that power through an eight speed Steptronic and an all wheel drive system that provides infinite torque bias for the ultimate traction. And they manage to get that bulk to jump from 0 to 100 km an hour in only 4.2 seconds. That’s just for warm-ups. They also add massive 21” wheels and tires, gigantic compound brake rotors, and beefed-up suspension components that look strong enough to prevent a tectonic shift. The beauty of this machine is truly under the skin. This is not the most handsome car. All the scoops, vents and aerodynamic add-ons give it a very busy appearance. It also looks too tall and narrow, resulting in a somewhat ungainly appearance when viewed from afar. Even so, once you’re seated inside it actually feels like a very wide vehicle. And despite its overdone apertures it really stands apart when it’s out on the road. 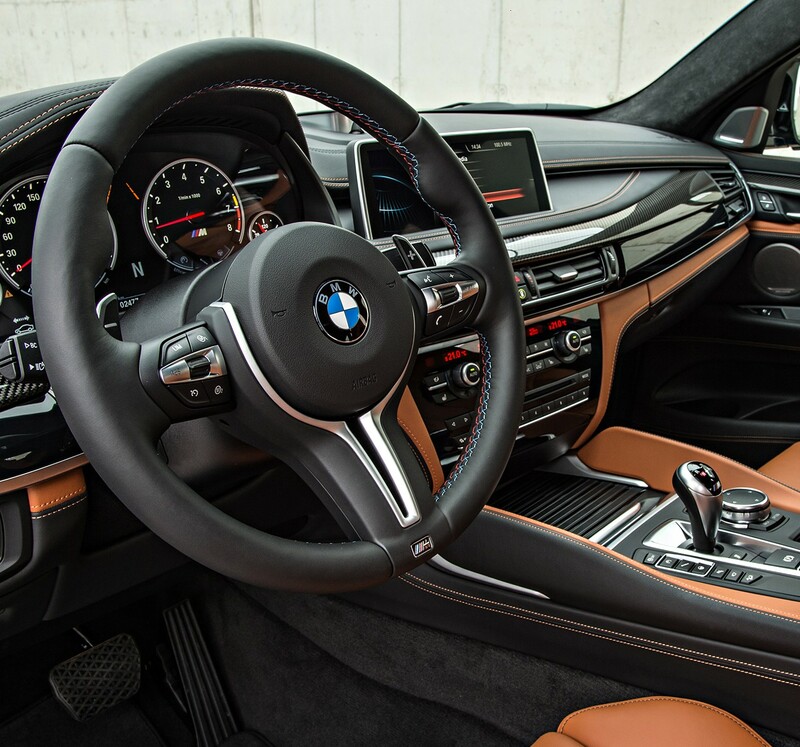 As you would expect from any BMW and especially from any M, the interior is beautifully tailored and impeccably assembled. Before you get under way, make sure you learn all the different settings that you can choose from. You have multiple adjustments for the steering, the shocks, and the transmission and if you truly want to get the most out of this vehicle you need to know which settings best suit your driving style. One word of go-fast advice: don’t just put this thing in drive. There is a glaring gap between flooring it in getting a response out of the engine. If you’re going for time you definitely want to leave this in manual shift mode and select the gears yourself. That makes the powertrain feel crisp and responsive. 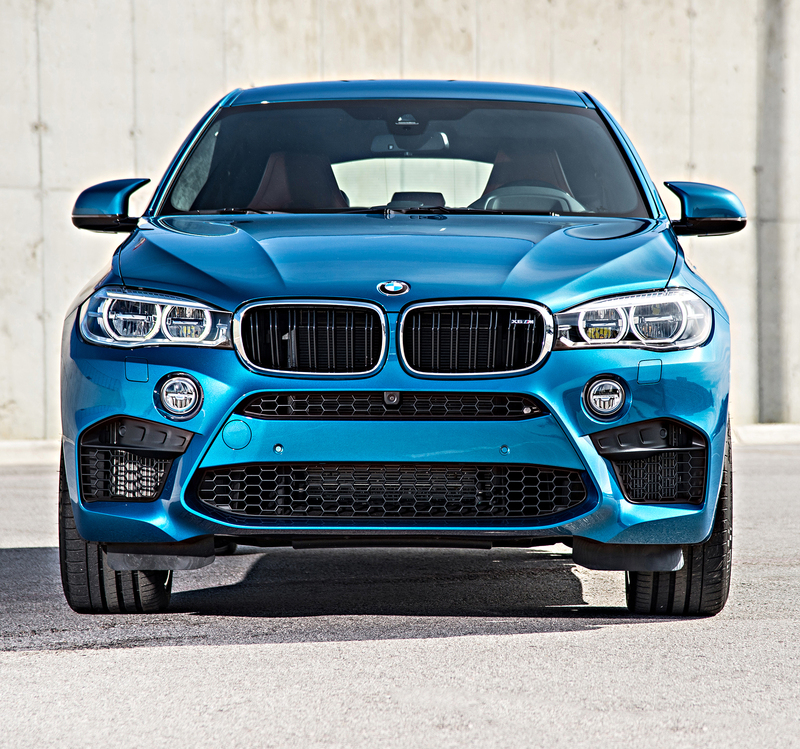 Though it can turn some impressive track times, the X6 M is really a grand touring machine, ideally suited for the open road especially with grand, sweeping turns. In the twisty bits you really start to feel the height and weight of this vehicle. Though it can get through tight turns surprisingly well for its bulk, I’m still puzzled why a true enthusiast would be attracted to so much mass. The fastback roof line gives the X6 its sporty look but it also reduces rear seat headroom. Even shorter passengers are going to hit their head on the roof if they lean back in the seat. And yet the cargo space is cavernous, tall and deep, with a floor that opens to reveal even more cargo space. So if you’re the kind of weekend warrior who loves to get out on a track I would suggest looking at other M’s in the lineup. But if you like long drives running full chat with a significant other and your luggage, then the X6 M could add a spicy zest to your travels. 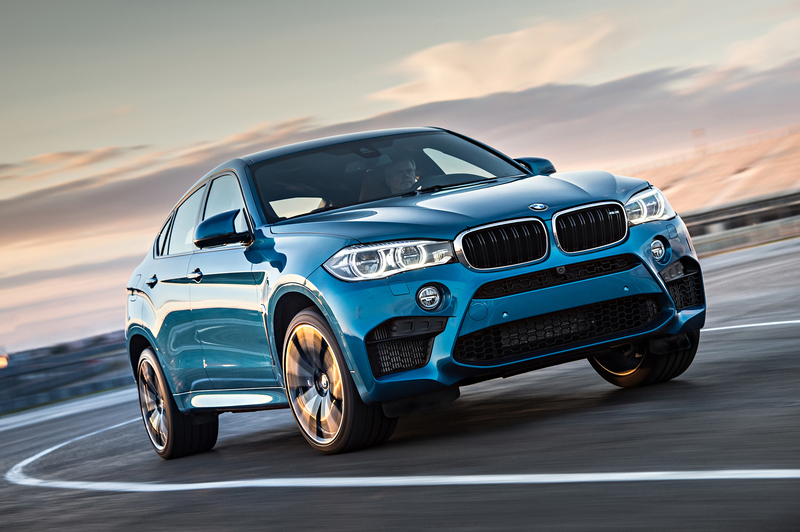 Have you seen the BMW X6 on the Circuit of America F1 track? It’s blowing that track and the sound is great. The M6 Coupe and X6M are a great pair to me if you can buy these Automobiles. They are for Drivers. A Manual with the M6 for Me because I’m a Driver who loves control and fun shifting. Love the shape of the X6 period and the X6M for the Engine and extras on it.